When an eerie voice interrupts Christian's ordinary life, the familiar scene of the Fall Valley Boarding School crumbles into uncertainty. Soon, this boy's worries are shifted from the troubles of his past to the terrifying disturbances that haunt him at every turn. In a matter of days, the menacing voices and shadowy shapes become the least of his troubles. Christian decides he must face his foes or live forever in fear. In doing so, a mysterious force drags him into a strange and unfamiliar land where the unnatural terrors are somehow perfectly catered to torment him. It isn't long before Christian is discovered by the inhabitants of this new realm. A peculiar but seemingly trustworthy fellow leads him to safety and introduces him to an ancient kingdom that has been lost for ages. Christian may think himself a victim of circumstance, but he soon discovers he has been chosen to determine the fate of an ancient people. The task may seem impossible, but if Christian does not succeed, hundreds of lives may be lost...and billions cursed forever. The terrors are relentless, the secrets are endless, and the expectations that are thrown upon this 13-year-old boy are almost overwhelming. The past may have stolen his hope for the future, but Christian must decide if he has the courage to abandon his doubts and seize the path to a truly unfathomable destiny. Although this is clearly geared towards a younger audience, I still found it entertaining. The author did a great job of tailoring the content without just dumbing it down. The alternate reality premise was really interesting. The narration is well done and was very engaging. All in all, I thought this book is worth checking out for most sci fi fans. Standard young adult and you kind of get what you expect but that doesn't mean what we get isn't well done. I have not listened to books from this genre before and although it feels like a young teenager or young adult aimed story I did enjoy it and I am sure other older adults will too. After a somewhat slow start the pace picks up and had me hooked. The writing is good and the storyline moves along quite well. There are twists aplenty in the story and just when you think all is well and Christian has triumphed another twist in the tale surprises you. Well worth your time listening to this story. This is a very interesting and different story. I love the time travel/alternate reality thing we have going here. I cannot wait to see what happens next for Christian!! Great story, loved the performance! Great story by K.C. Dunford. I loved Becca Scott's performance! I loved this book. It was provided to me as a free copy but I was not Obligated to leave a review. Exciting Plot, Cool Characters, Great Performance. I loved the idea of this book! The first couple of chapters were kind of a slow burn, but that helped build the setting and introduce the story more. After Christian goes into the Mirallantic, things start to really pick up. There is danger and interesting creatures at every turn. Christian is an interesting character. The story hints right away that he has an unhappy past and was abused as a child. I liked how he was very flawed with so many fears. He isn't your typical brave hero. This is refreshing because what 13 year old kid wouldn't be scared out of their mind if they found themselves in another world? Especially a cursed one full of monsters. He seems to grow throughout though and learns a lot about himself. He overcomes a lot of obstacles by the end, but still has some growing to to. I loved the character Gafford. He is a somewhat fatherlike figure that sort of reminds me of Strider from the Lord of the Rings. He offered a comic relief also. I enjoyed his poetry and thought that was a unique trait for someone so gruff. I also really became fond of the fade. It isn't always easy for an author to pull of a character that doesn't speak any dialogue, but KC pulled this off. It was refreshing to have a "sidekick" type creature that was actually really likable. I hope to see more of these characters in book 2. I also hope to learn more about the kingdom. I found it very interesting and want to know more about the history and background of this people. I love the concept of the time travel and alternate reality here. As for the story, I found it to be unique and easy to follow. Clearly, this is geared for a younger audience and the author does a good job of explaining things. There were a few descriptions that were perhaps muddled and could have used better editing. I am assuming this is KCs first novel. I enjoyed the Skathes as villains and since I know that this is a series, I look forward to getting to know more about their motives in later books. I also wish they had been a little more present in the book because they were spooky. The narrator for this book performed very well. She does the different voices for the characters and her "Christian" voice was very cute and seemed like a little boy speaking. I didn't love her voice for the Skathes. I wish it had been dark and deep instead of snakelike. 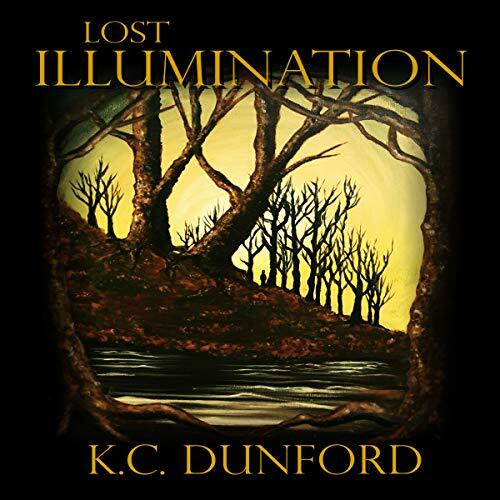 I have been following KC Dunford on social media for a while and I am glad that I finally took the time to listen to her book. It was seriously well worth the time. Not bad for a first book! I didn’t really know what to expect with this book, but I am really glad I gave it a try. I was mostly previewing it for my daughter and I am happy to say that I think it is written very well and the story will be gripping enough without being too scary or violent for her. Becca Scott did a very good job narrating here. The voices were great and the inflections were pretty spot on. Now I need to get the sequel to see how this ends. This book was given to me for free at my request for my voluntary and unbiased review. "This book was given to me for free at my request and I provided this voluntary review." I really liked this book. After reading the synopsis, I knew I was getting a story that did seem kind of familiar. The author's execution of the story set it apart from those other stories, though. Following Christian as he traverses through a strange and dangerous world, I was taken into a journey along side with him and his traveling companions; on a journey that is most unique and unlike others. I loved the story-arc and the development of the plot, plus the addition of enough backstory to understand just the right amount to keep us going. I am very eager to see what happens next. Character development was very good for Christian, and good for other characters. The Christian development is dark and twisted, he is no marysue! Overrall, 4.5 stars, would recommend to others. I am stil waiting to hear back from the author to know when book 2 is coming out!